Prominent & Leading Manufacturer from Ahmedabad, we offer 96% high silica fabric, vermiculite coated silica fabric, high silica cloth 96%, high silica cloth, silica fabrics and silica fabric. 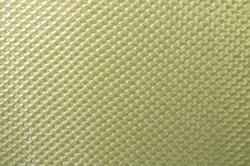 High Silica Fabric is made of inorganic fiberglass fabric with more than 96% SiO2 content after calcification. The post treatments make its weight from 850g/m2 e-glass fiberglass fabric to 600g/m2. Except for 96% SiO2, the acid treatment and calcination improve the fiberglass fabric to a materials with higher softening point and higher density. 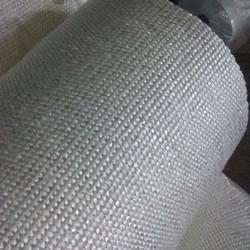 Softening point of this 1200g high silica fabric is close to 1700℃. And it can be used at 1100℃ continuously. 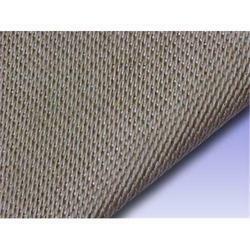 High silica fabric is a flexible, high strength, stable physical/chemical properties material. Because of these features, it is always used for fire, welding blanket and thermal insulation sealing. 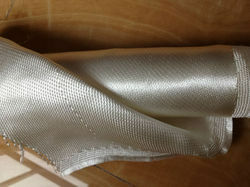 This 1200g/m2 1.3mm thick high silica cloth is woven in satin(also called break or twill weave) weaving. 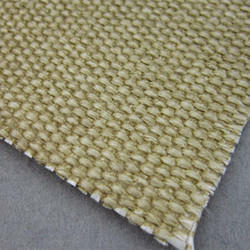 Standard width of this heavy duty high silica fabric are 91.44cm and 100cm. Color can be white or brown. Packaging Details: 50 Meter Per Roll. 100% Dust Free Packing. Every Bag wills Be At Best Quality Packing. Per Roll will be Pack in a Plastic Packaging. As a leading firm, we are engaged in manufacturing, exporting and trading a large gamut of Silicon Coated Fibreglass Fabric. High silica fiberglass is inorganic fiber that contents more than 96% of SiO2. It's resistant to high temperature, soft point 1700º C, long term service temperature 900º C. It can work 10 minutes at 1450º C and keep good state at 1600º C for 15 seconds. Because of its properties of chemical stability, high temperature resistance and corrossion resistant, it widely used in aerospace, metallurgy, chemical, construction, fire control industry, etc. High silica fiberglass fabric has properties of high strength, easy to process, wide application, used as material for high temperature resistant, ablation resistant, insulation and heat preversation. The weave can be plain or satin. Use Welding Blanket, Fire Blanket, Insulition, Welding Curtains, etc..
Our firm has been affianced in manufacturing and exporting an exclusive range of High Silica Fabrics, High Temperature Silica Cloth, High Temp Silica Cloth. It is used for a wide range of protection & insulation applications such as welding pads, welding blankets and welding curtains. For optimum performance, it has a minimum silicon dioxide content of 96%. To withstand continuous temperatures up to 980°C, for various periods of time, the offered product can be fabricated into many forms. Furthermore, we are supplying the High Silica Fabrics, High Temperature Silica Cloth, High Temp Silica Cloth at very reasonable rates. With an immense of a team of experts, we are engaged in manufacturing and supplying a wide range of Silica Fabrics which is manufactured by leaching the fiber glass cloth. These products are manufactured by using superior quality material which is sourced from reliable vendors and latest technology. Offered products are tested by our quality engineers to deliver a flawless range. It's resistant to high temperature, long term service . It can Because of its properties of chemical stability, high temperature resistance and corrosion resistant, it widely used in aerospace, metallurgy, chemical, construction, fire control industry, etc. High silica fiberglass fabric has properties of high strength, easy to process, wide application, used as material for high temperature resistant, ablation resistant, insulation and heat preversation. 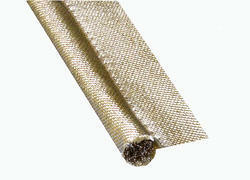 weave can be plain or satin, coating is available by customer's order.